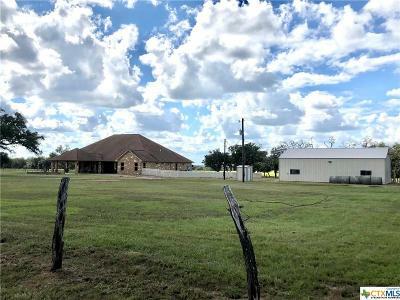 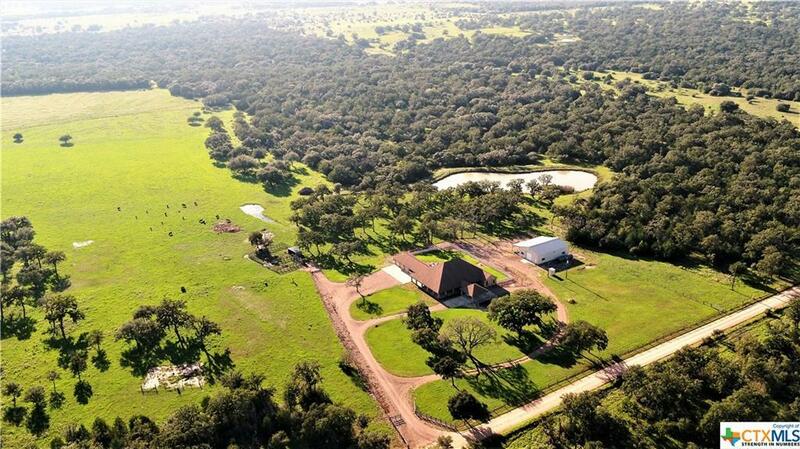 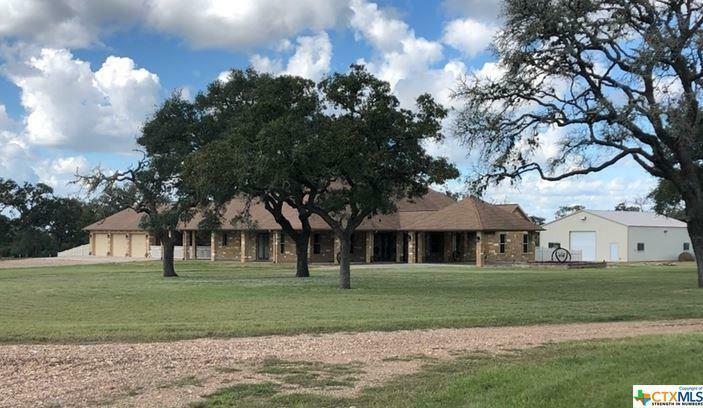 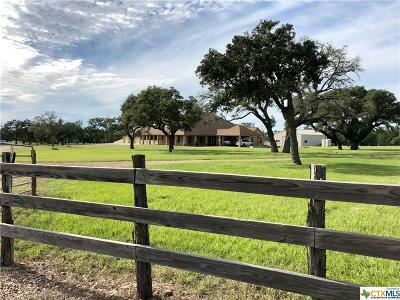 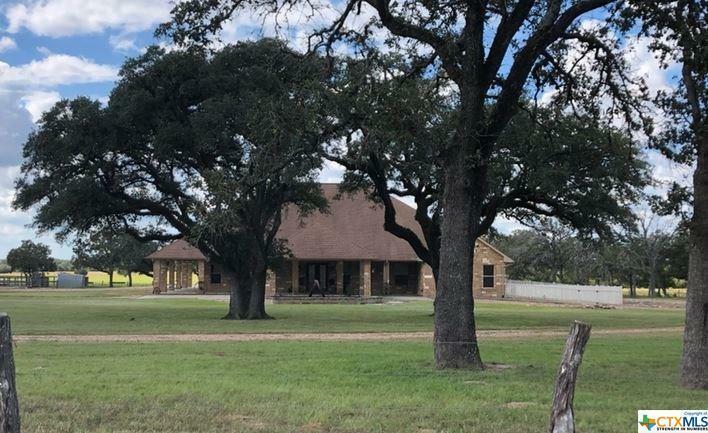 Secluded ranch on 100 acres with 1 acre tank. 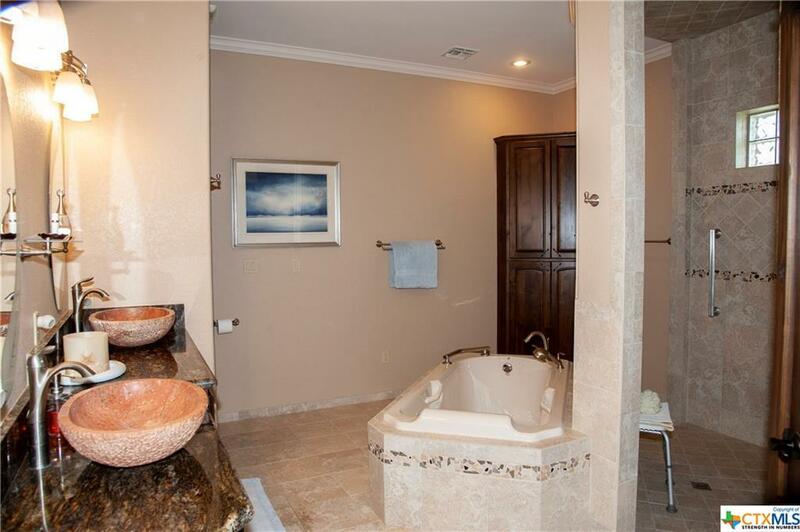 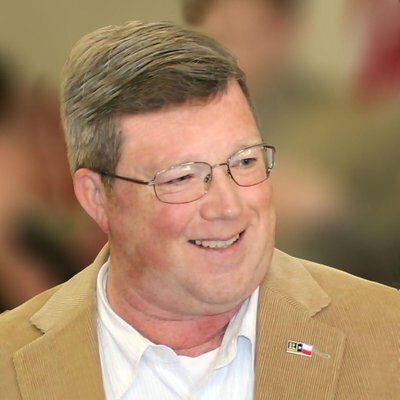 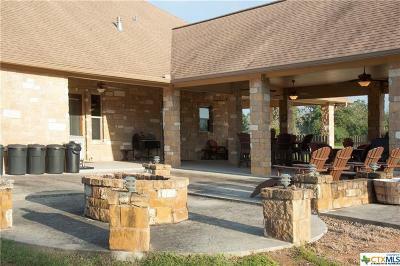 Only 1.5 hours west of Katy, 2 hrs from San Antonio and 32 miles south of I-10. 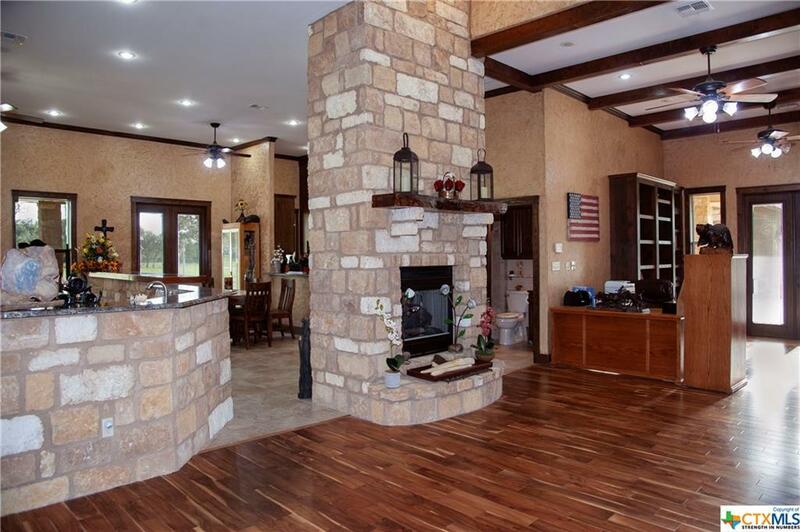 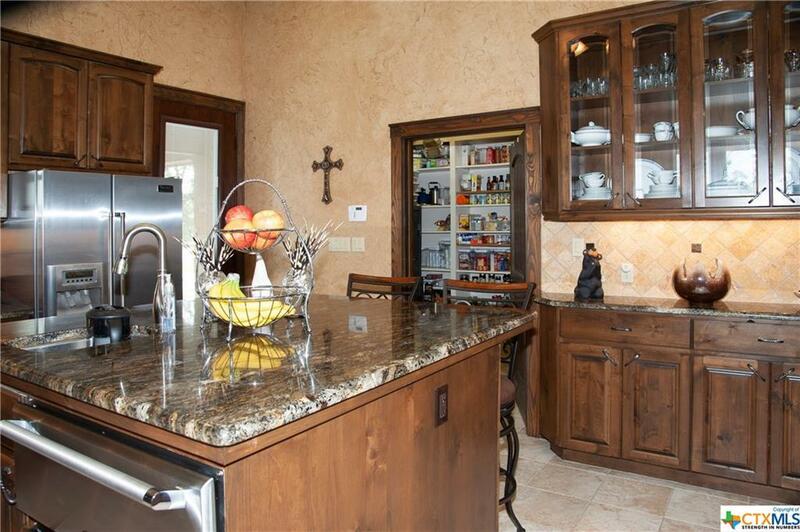 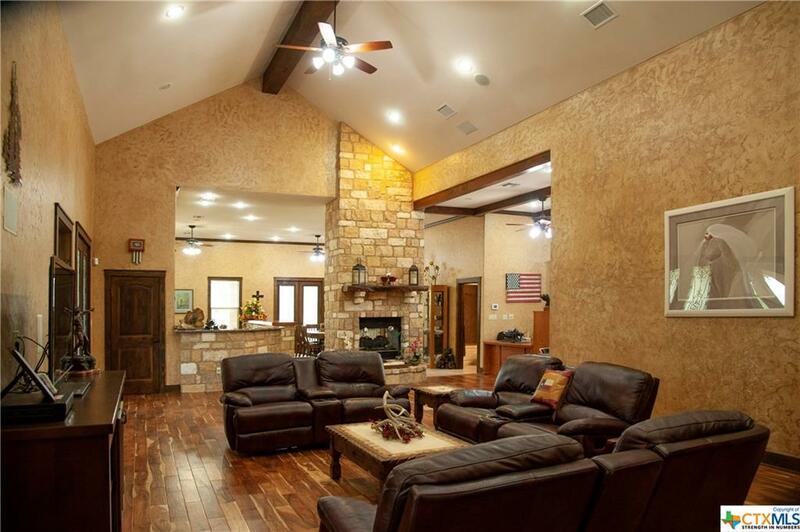 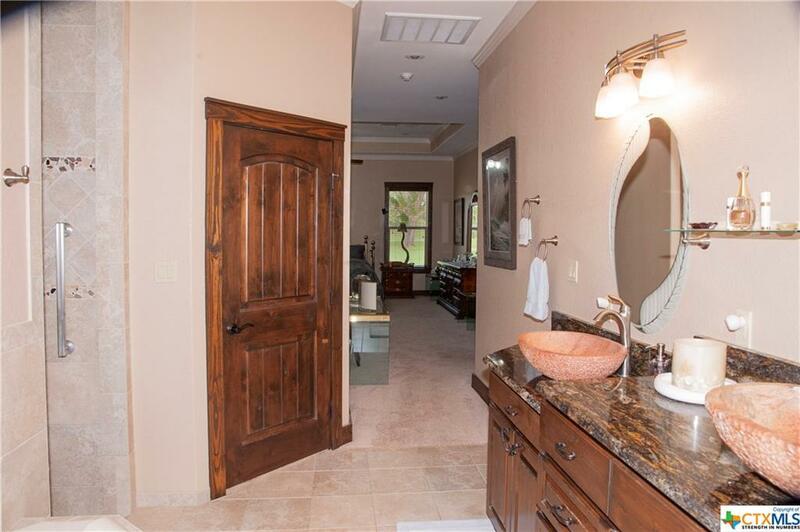 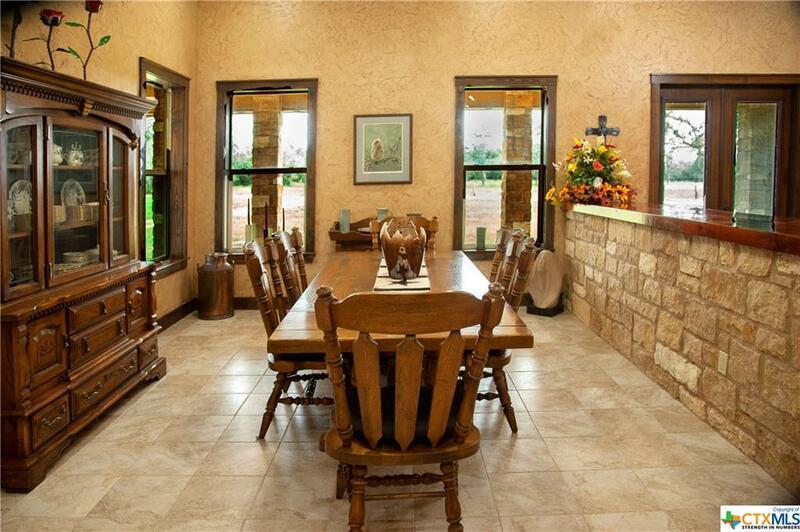 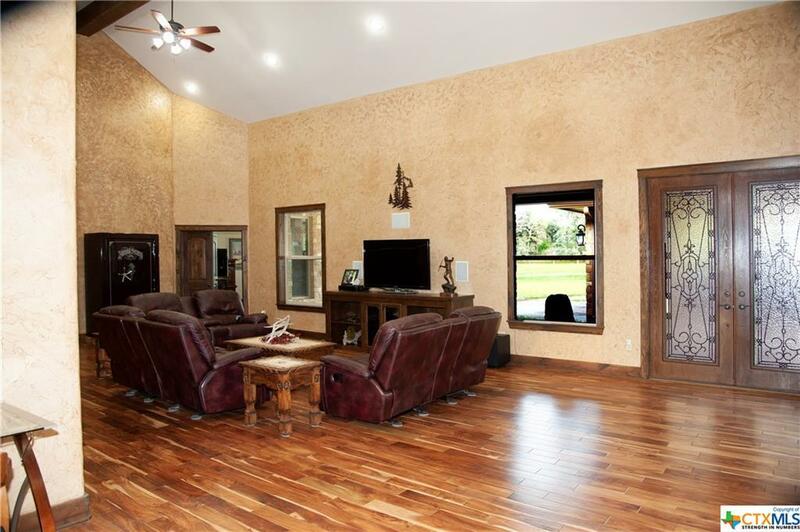 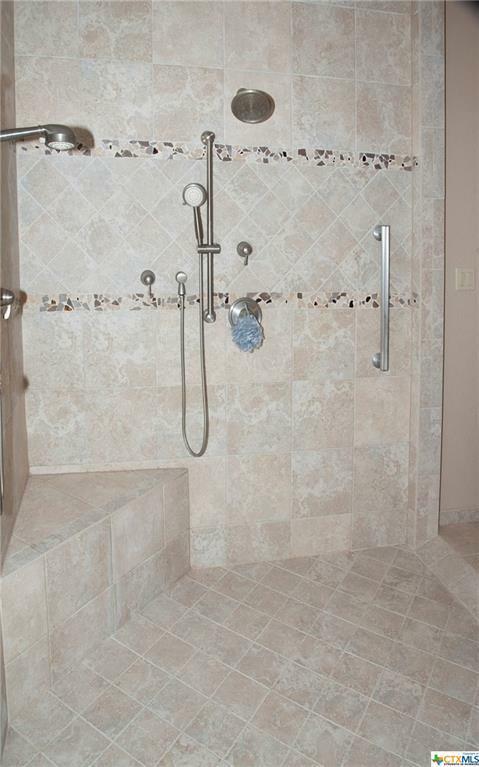 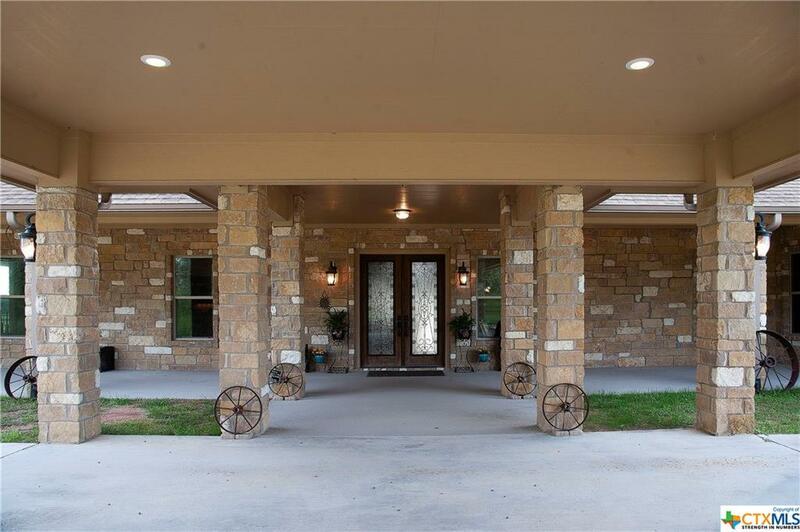 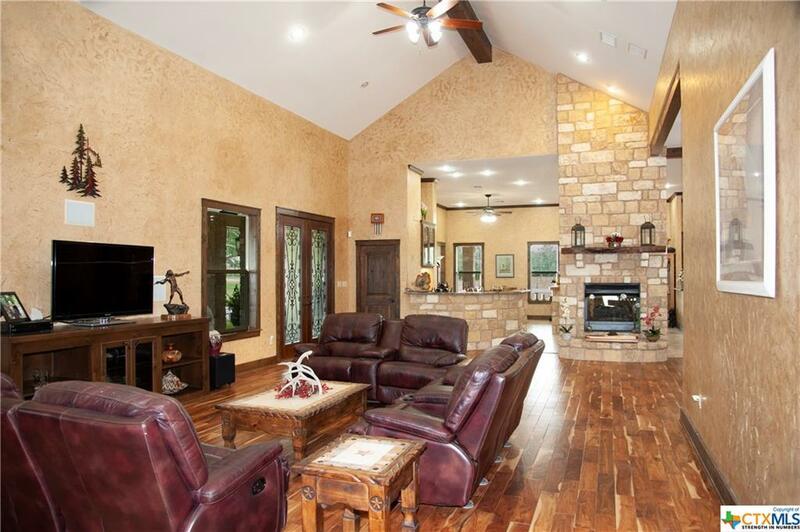 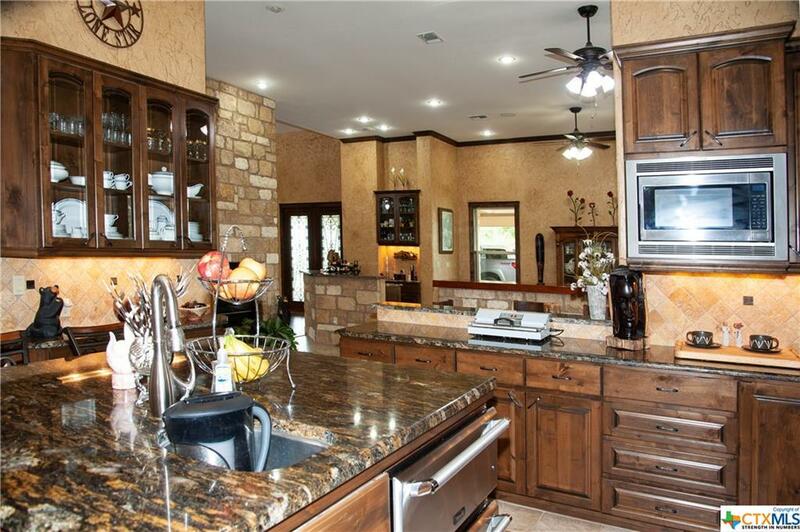 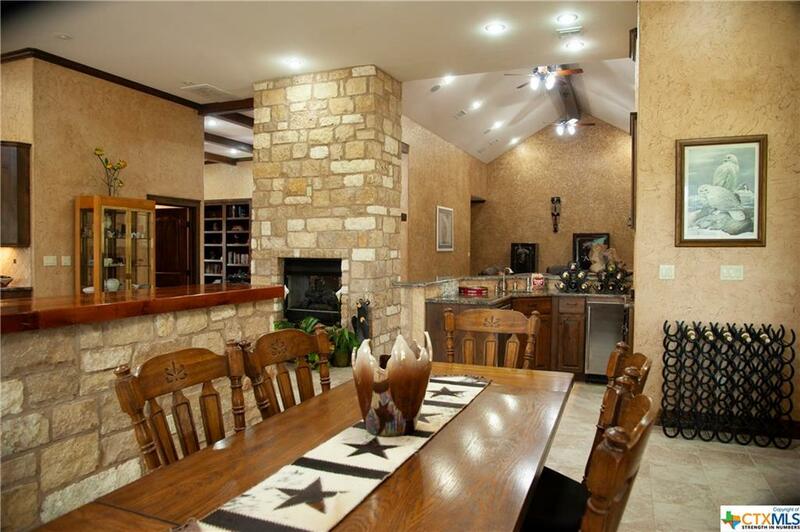 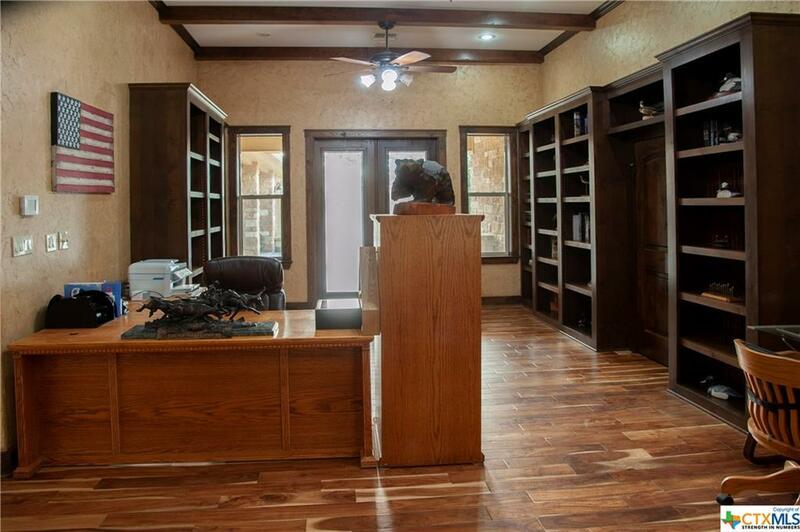 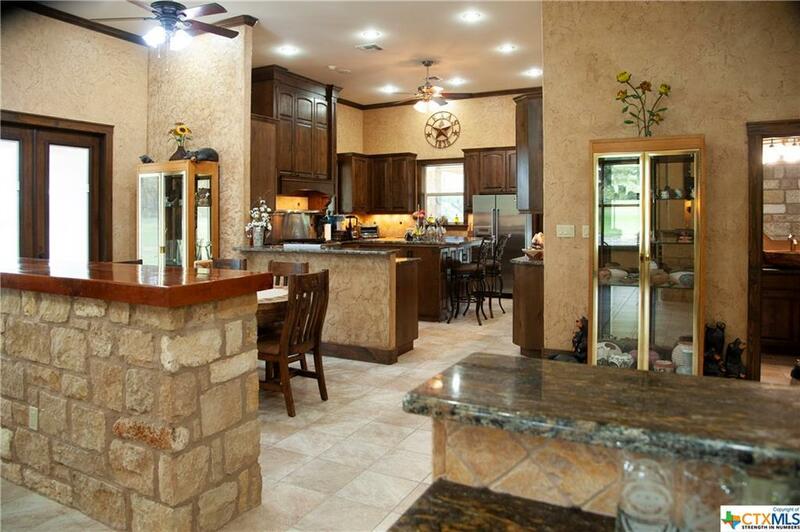 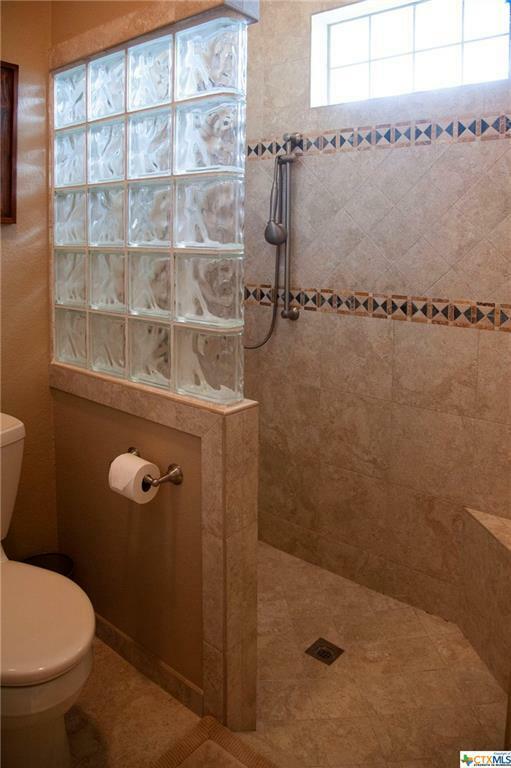 One-of-a-kind property features a 4,200 sq ft rock home, built in 2010. 3 car garage, 60x40 shop with RV hookups. 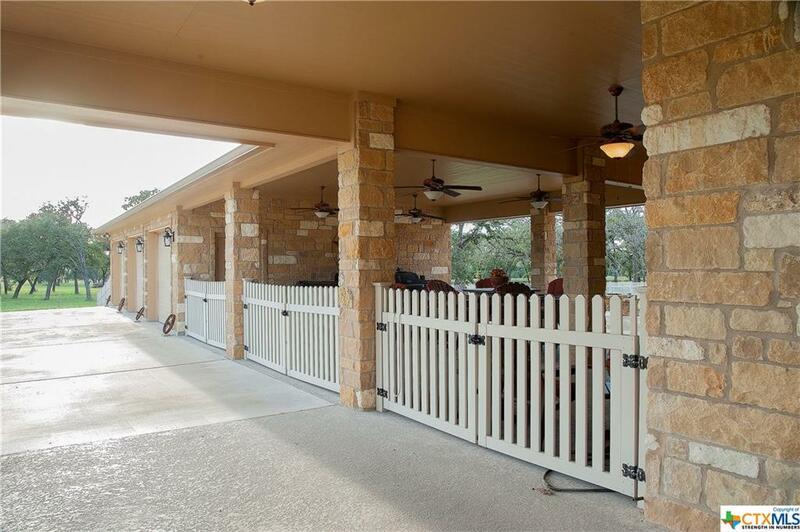 Great for hunting, cattle ranch or horse property. Has 300 yd shooting range, corrals and chutes. 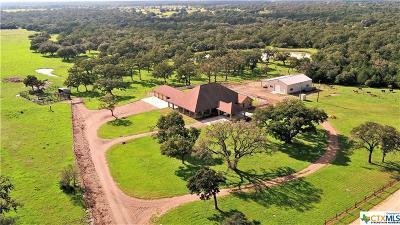 Equipment and cattle available to purchase. 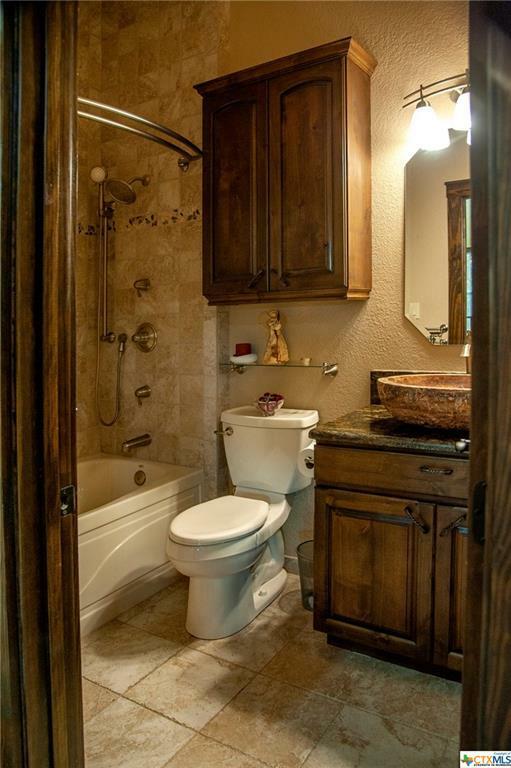 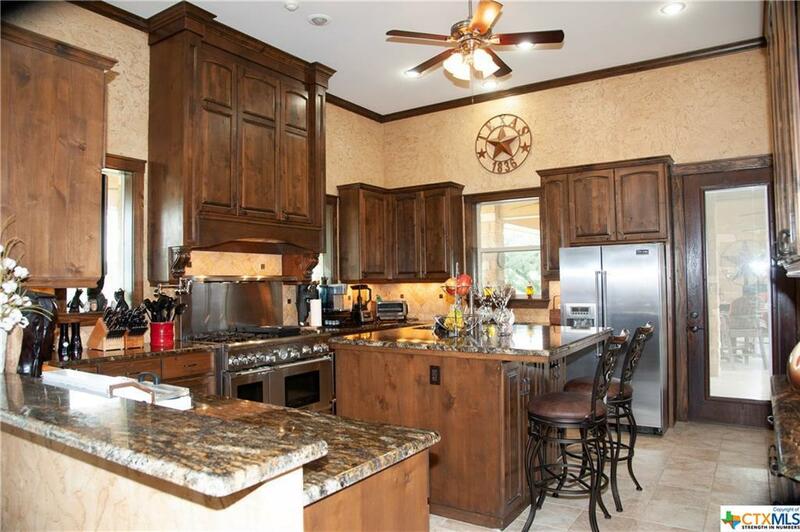 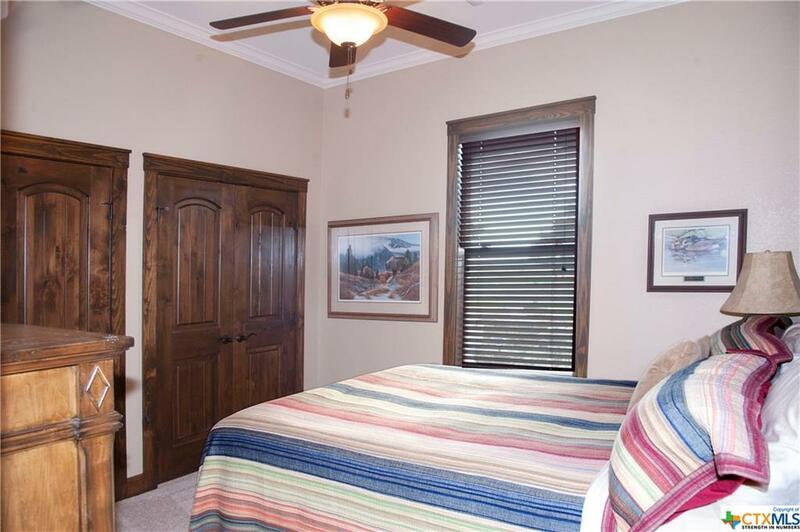 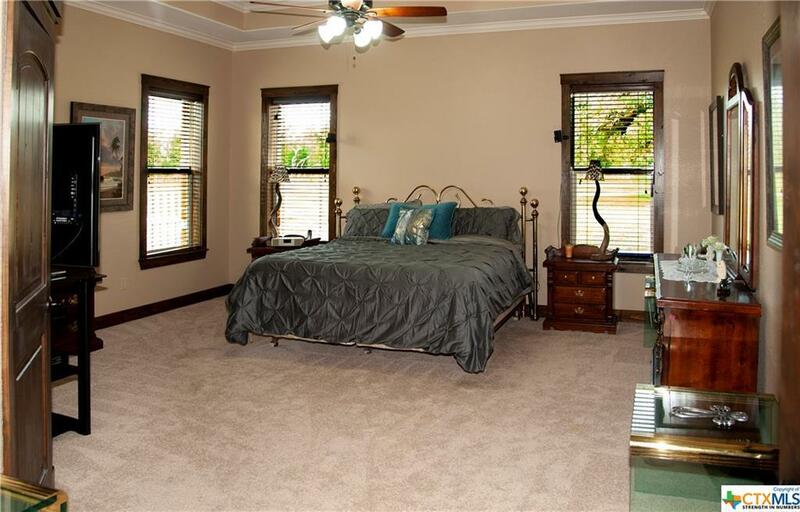 4 bdrm/ 3 bath house has 12'-18' ceilings, Acacia hand scraped hardwood in living areas plus knotty alder cabinets. 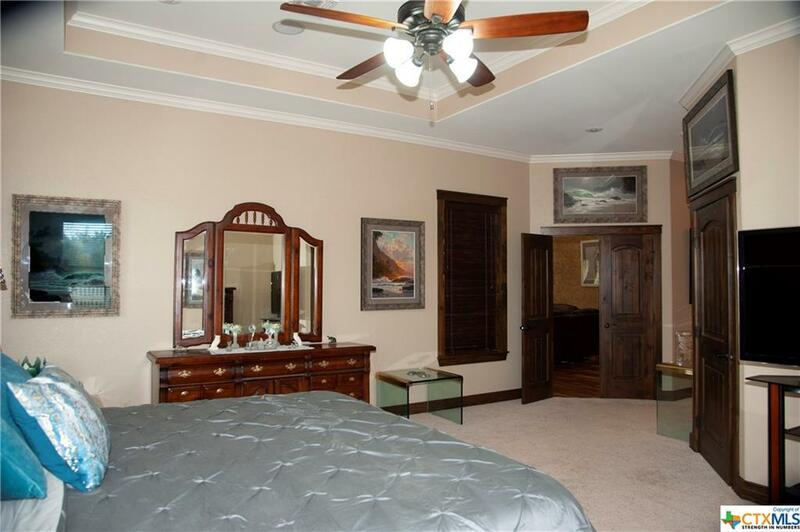 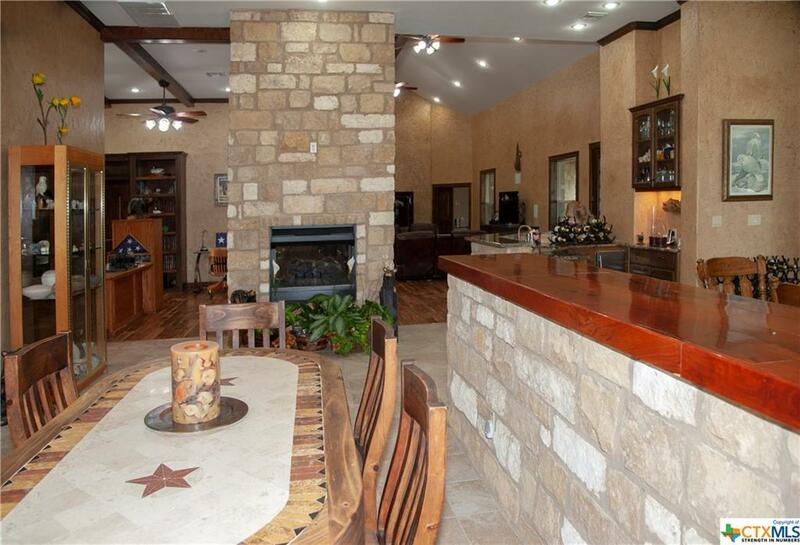 Huge walk-in vault, study with custom built-ins, massive double fireplace, wet bar with drink frig & commercial ice maker. 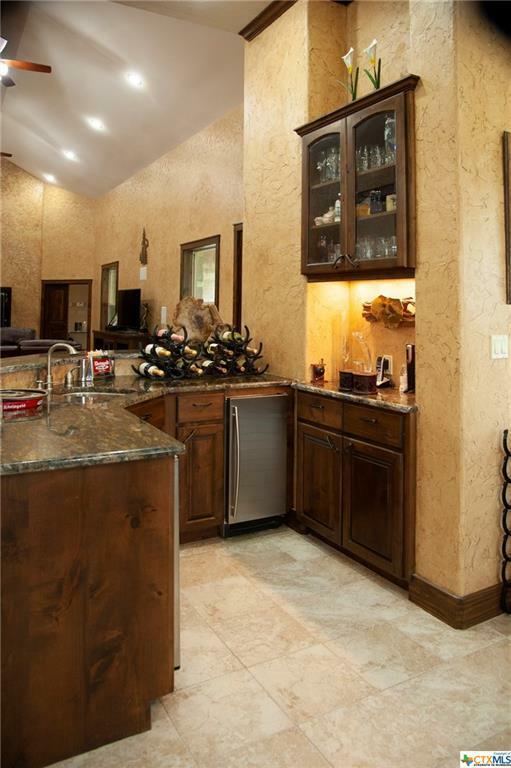 Viking & Thermador appliances include frig, 6 burner griddle & grill, double ovens and 2 warming drawers in massive island. Back-up propane generator for power outage; hurricane rated windows & security system offer peace of mind. 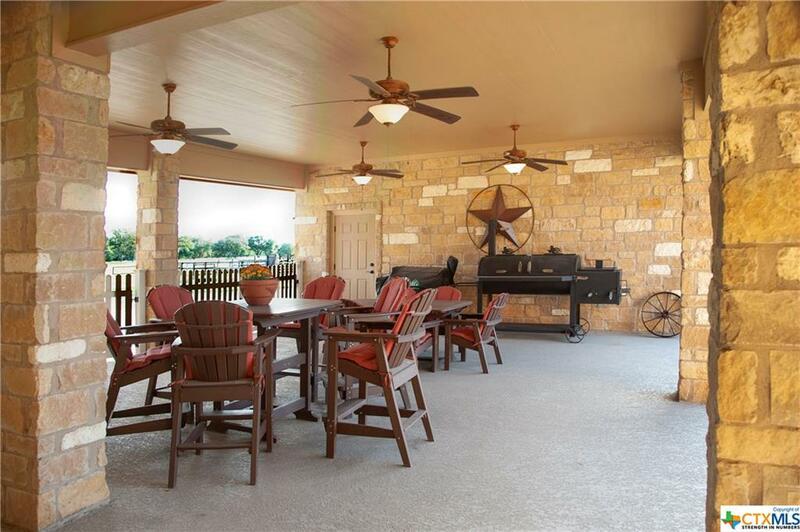 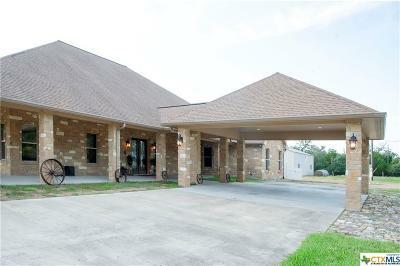 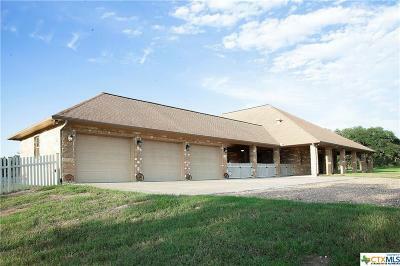 Curved drive, double portico, 2300+ square feet of covered outdoor living area and porches, plus sauna and fire pit. 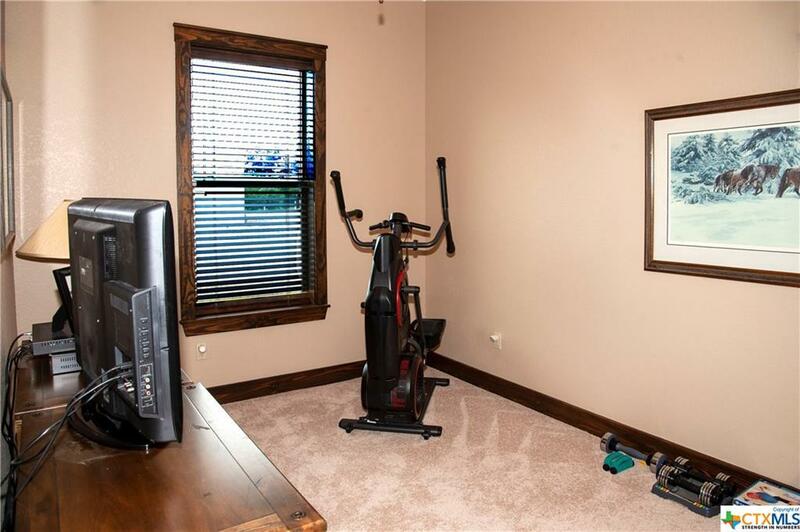 Too good to pass up! Directions: Take N. Navarro St Until You Reach Us-77 N. , Continue On Us-77 N. For 27 Miles, Turn Right On Fm 531, After 3 Or So Miles You Will Reach County Rd 449 - Turn Right, Then Continue Until You Reach Your Destination.